Looking back over the trajectory of my life I can recall several significant times I was the recipient of mercy. I will share a couple of those here and more on Sunday. Several weeks after graduating from college I had an interview with the District Superintendent of my the Indiana North District. That was my home district. I was hoping he might recommend me to a church in that district. I was nervous and uncertain of what I should expect. Never would I have expected what I received. To be kind to this man who has gone on to his reward, he was dismissive of me and rude to me. I was stunned by how I was treated. It was disillusioning. I was crushed. A couple of days later I received a call from the late and great Forrest Gearhart. Rev. Gearhart was the District Superintendent from Northern Illinois and he asked if he could talk to me about a church opening in Princeton, IL. I was thrilled by his interest and I went for the interview. I was also nervous after the treatment I received from my own DS several days previously. Fortunately for this 22 year-old I was warmly received and treated with respect. He actually wanted me as a pastor in his District and thought I would be a good fit for the Princeton Church. I agreed to candidate at the church in a few weeks. All I wanted was a chance and Forrest graciously provided that for me. In view of that mercy I was determined and motivated to offer my best efforts to making sure I was worthy of the trust placed in me. You could say I offered myself fully and completely to the work of the ministry. It was a good fit and over the next 10 years God blessed with a satisfying and fruitful ministry. That one act of mercy - giving a green young kid a chance - paid big dividends. It may have saved my ministry. I remain deeply grateful to God and to godly people who showed me mercy at a time I desperately needed it. And most of all, I give God glory for His great mercy! 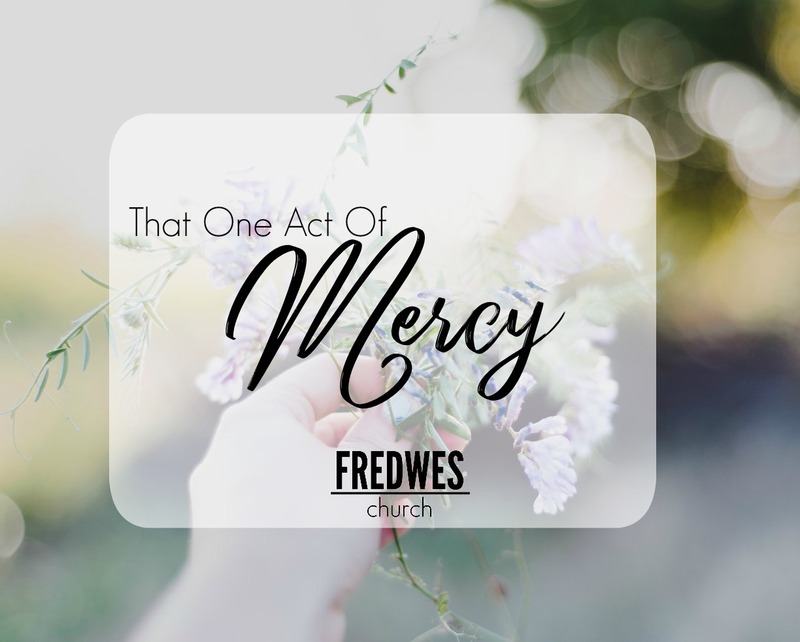 As one who greatly benefits from the mercies of God, how am I to respond to such mercy? The "therefore" implies a response on your part. It serves the ball into your court and you must make a play. How is it you are to respond? "I urge you" - This is a word applied to a general preparing his troops for battle. Nowadays, it would be a pregame pep talk from the head coach. But this word has and urgency about it and an authority to it. In "view of God's mercy" you are urged to respond appropriately to God's mercy. "offer your bodies as a living sacrifice" - The word "offer" or "present" means willingly or gladly giving yourself to God. In the Old Testament when a bull or a ram was offered to the priest as a sacrifice it was given reluctantly out of obligation. It was given in an attempt to obtain mercy. But you and I have already received mercy! The Greek word used for "present" is later used for "presenting" ourselves before the judgment seat. So, we are to offer ourselves willingly and gladly because of God's great mercy! When a sacrifice was made in the Old Testament its throat was cut and it bled out on the altar. Then it was burned on that altar. It's life ended. But a living sacrifice willingly comes to the altar and presents his body in worship and service to the Lord. This symbolic act of sacrifice is our "true and proper act of worship". The word used here is "logikos". In view of God's great mercy offering ourselves to God is just a logical thing to do! When God offers you mercy, take the offer by offering yourself to Him!